Stonehill continues to be singled out by organizations involved in assessing U.S. colleges and universities including Princeton Review, Forbes and NPR as being among the best in the nation when it comes to value, outcomes and a commitment to making the world a better place. Stonehill College’s criminology program was recently ranked fourth in the nation by the college-ranking website College Factual. 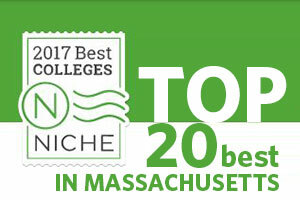 Stonehill was the only New England College to make the Top 10 list and it marks the second time the College’s criminology program has received a No. 4 ranking from the organization. The marketing program at Stonehill College has been recognized as one of the top places in the country to study marketing by College Factual. 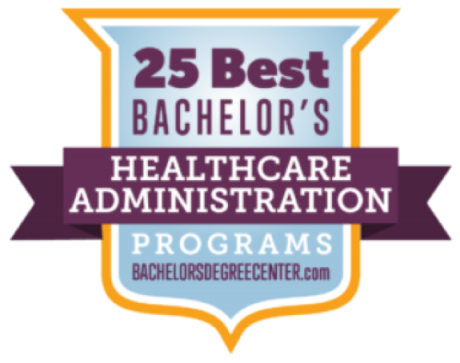 Stonehill Healthcare Administration Program Among Top 10 in U.S.
Stonehill College’s Healthcare Administration program has once again been singled out as one of the best in the nation. 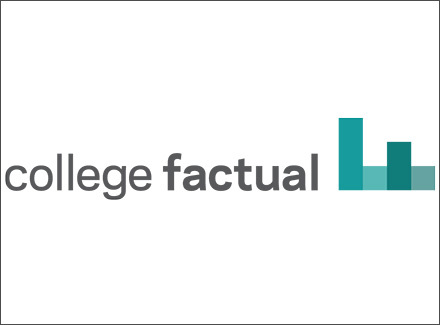 The healthcare administration program at Stonehill College has been recognized by College Factual as the best place in the country to study medical administration services. 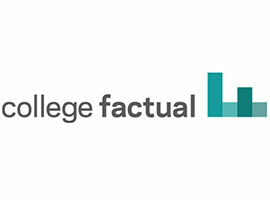 College Factual ranked Stonehill’s program 1st out of 124 schools nationwide. When Money magazine recently analyzed the roughly 2,400 four-year colleges and universities in the United States, it determined that fewer than a third – a select group that includes Stonehill College – meet the highest standards in terms of education quality, affordability, alumni earnings and graduation rates. The Princeton Review once again named Stonehill as one of the top green colleges in the nation. In their 2018 Guide to Green College, Stonehill received an 87 out of 99 possible points in the "sustainability" category, three points higher than in 2017. 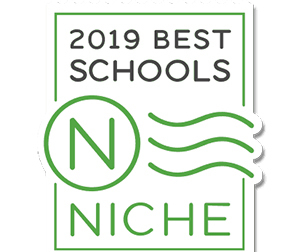 A 2019 Niche ranking of the “Best Value Colleges in America” places Stonehill College in the top 6 percent of colleges nationwide. Stonehill graduates’ workforce preparedness and employability were recently recognized in a rankings report by Educate To Career (ETC). Out of 1,202 colleges and universities nationwide, Stonehill ranked 36th in the country. 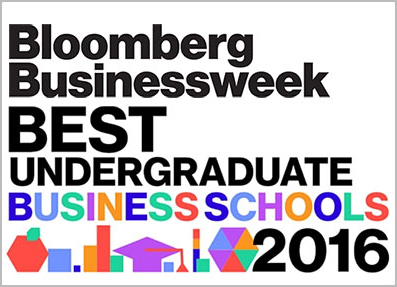 The Wall Street Journal/Times Higher Education once again recognized Stonehill College for its exceptional ability to foster intellectual development and connect students with strong outcomes. 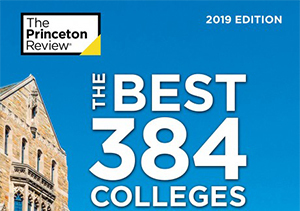 In the recently released 2019 rankings from the two organizations, Stonehill placed 192 out of the more than 1,000 U.S.
Stonehill has once again been named one of the nation's best institutions for undergraduate education by The Princeton Review. 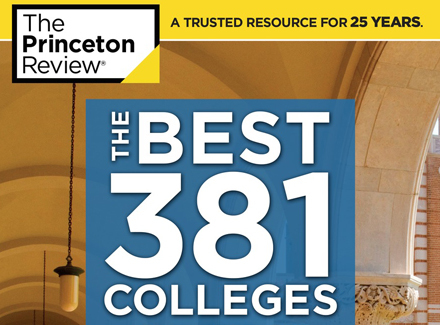 The education services company features the College in the new 2019 edition of its annual college guide, "The Best 384 Colleges." 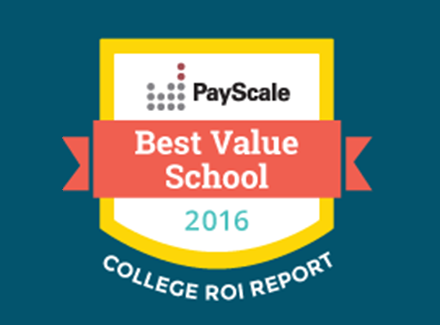 Stonehill College is the 23rd best liberal arts college in the country for return on investment (ROI), according to PayScale. 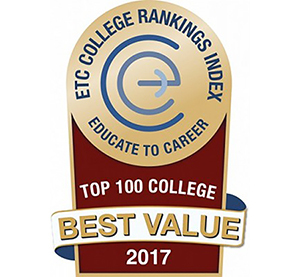 Stonehill graduates’ workforce preparedness and employability were recently recognized in a new rankings report by Educate To Career (ETC.) Out of 1,250 colleges and universities nationwide, Stonehill ranked seventh in the country. 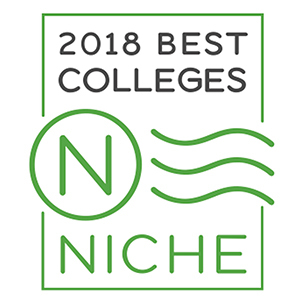 A 2018 Niche ranking of the “Best Value Colleges in America” places Stonehill College in the top 3 percent of more than 2,000 colleges nationwide. Building on its strong showing in last year’s rankings, Stonehill is now in the top 16% of more than 1,000 colleges and universities analyzed by The Wall Street Journal in partnership with Times Higher Education. Stonehill is one of the 375 most environmentally responsible colleges according to The Princeton Review’s 2017 Guide Green Colleges. Calling our commitment to sustainability “certainly impressive,” the Review cites our pledge to reduce energy usage by 20 percent by 2018, and more. Stonehill College has once again been named one of the nation's best institutions for undergraduate education by The Princeton Review. 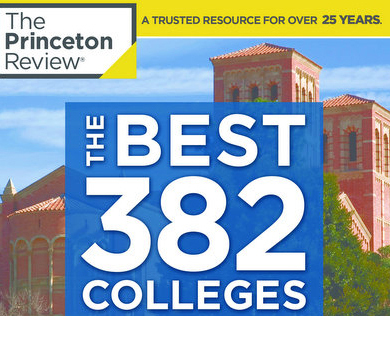 The education services company features the College in the new 2018 edition of its annual college guide, "The Best 382 Colleges." College Factual Ranks Stonehill Marketing Program Among Best in U.S. 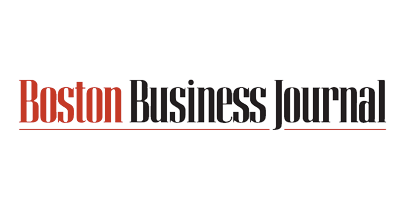 The Boston Business Journal has highlighted Stonehill College as one of the colleges in the area with the highest-earning students. According to the U.S. Department of Education, the national average salary after attending college is $33,500. But, the average salary after attending Stonehill is $58,500. 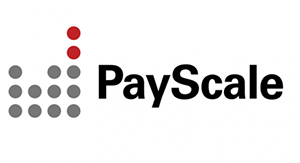 According to U.S. Department of Education’s College Scorecard, 10 years after enrollment, students are earning between $24,400 and $113,400. 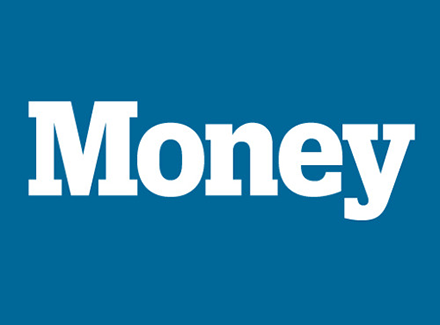 The Boston Business Journal looked at 77 four-year colleges in Massachusetts. Stonehill was one of the few colleges in the United States to be included in The New York Times' recently released third annual College Access Index, a ranking of colleges based on their commitment to economic diversity. The College was ranked 110 on the national list and came out on top among the New England colleges with which it is frequently grouped. 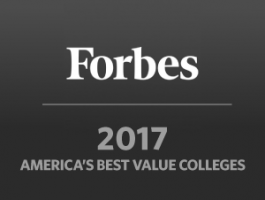 Forbes analysts looked at tuition costs, school quality, graduation success rates and post-grad earnings and picked Stonehill as one of 300 schools in the country that are doing the best on those fronts. A national organization that screens data from sources such as the federal College Scorecard, the Brookings Institute and the National Center for Education Statistics, recently ranked Stonehill in the top 20 among colleges in Massachusetts. Among 1,000 U.S. colleges and universities surveyed, Stonehill has been ranked 172 in a new listing from The Wall Street Journal/Times Higher Education, which ranks higher education institutions based on the emphasis placed on putting student success and learning at the heart of their mission. The Princeton Review: Stonehill Among Most Environmentally Responsible Colleges in U.S. The education services company chose Stonehill for inclusion in the 2016 edition of its book, The Princeton Review Guide to 361 Green Colleges, based on the College’s commitment to the environment and sustainability. 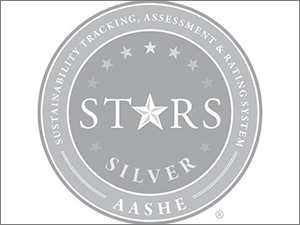 Stonehill College recently earned a STARS Silver Rating in recognition of its sustainability achievements from the Association for the Advancement of Sustainability in Higher Education (AASHE). 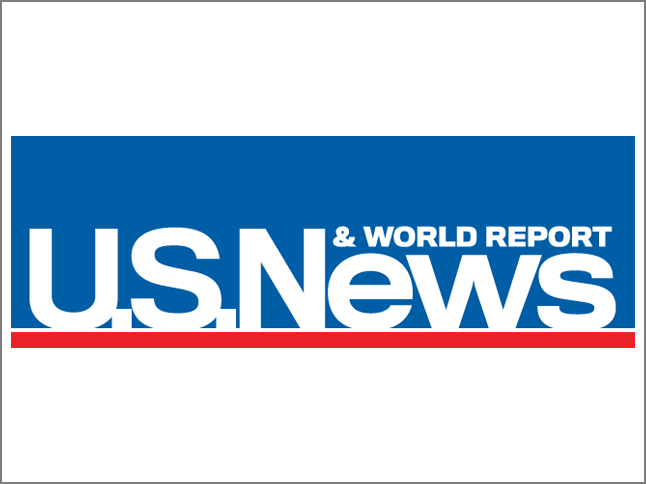 U.S. News & World Report Ranks Stonehill Among Best in U.S.
Stonehill has once again been named one of the nation's best institutions for undergraduate education by The Princeton Review. The education services company features the College in the new 2017 edition of its annual college guide, The Best 381 Colleges. 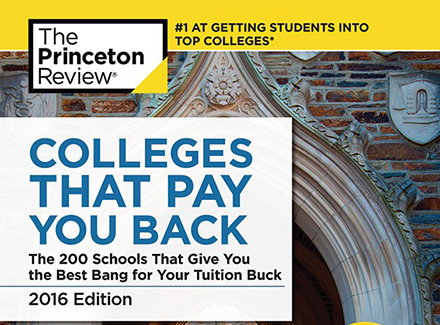 The Princeton Review honors Stonehill as one of the nation’s best colleges for students seeking a superb education with great career preparation and a high return on investment price in it’s new book, 200 Colleges That Pay You Back. 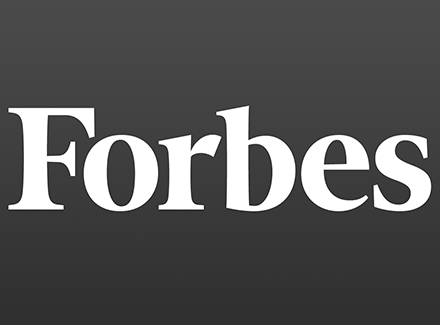 Forbes analysts looked at tuition costs, school quality, graduation success rates and post-grad earnings and picked Stonehill College as one of 300 schools in the country that are doing the best on those fronts. National Public Radio undertook an in-depth analysis of the federal government’s new College Scorecard and concluded that the return on investment for students who graduate from Stonehill was among the best in the United States. The nationally renowned compensation information company analyzed cost and outcomes data from 76 of the best liberal arts colleges in America and judged Stonehill’s return on investment to be among the best. ETC, a national clearinghouse of college and university data, examined 1,182 U.S. colleges and universities for workforce preparedness and employability and determined Stonehill’s outcomes record was strong enough to warrant being listed in the top 5 percent. 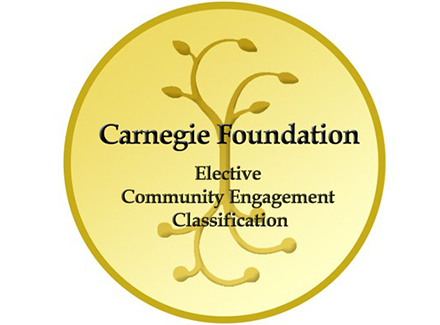 The Carnegie Foundation for the Advancement of Teaching has selected Stonehill as one of only 240 U.S. colleges and universities to qualify for the foundation's most recent Community Engagement Classification, which honors schools that have shown a strong commitment to engaging with local, regional, national and global communities. Stonehill’s commitment to protecting the environment is reflected in initiatives that include numerous student clubs and organizations that promote environmental sustainability, as well as installation of a 2.7-megawatt solar field that generates roughly 20 percent of the electricity used by the College. Those efforts combined with dozens of others earned Stonehill inclusion in The Princeton Review’s Guide to 353 Green Colleges. Stonehill’s long-standing emphasis on financial aid and academic advising has garnered it the No. 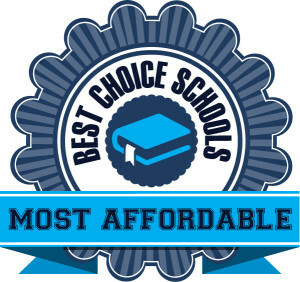 8 spot on a national ranking of colleges based on affordability and four-year graduation rates by Best Choice Schools. 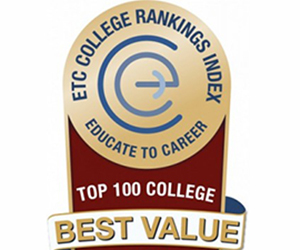 Stonehill College ranked No. 23 among small schools on the Peace Corps’ 2016 Top Volunteer-Producing Colleges and Universities list. There are eight Stonehill alumni currently volunteering worldwide. 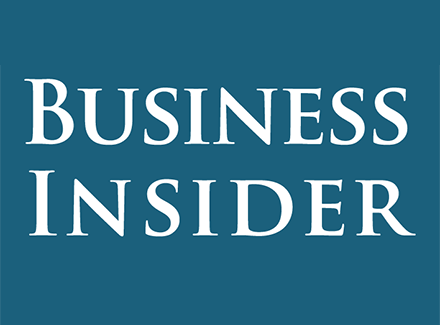 When researchers at Business Insider gathered data from two of the most well-known college ranking organizations and sorted them based on reputation and future earnings, Stonehill stood out as deserving more attention. Stonehill College’s criminology program is ranked fourth in the nation because it allows students to learn both the theory and practice of criminology along with research classes to provide a comprehensive criminology education. 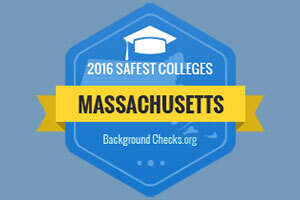 Stonehill College, has been named one of the safest colleges in Massachusetts by BackgroundChecks.org, a public safety focused organization committed to increasing public safety, community involvement, transparent government, and education.